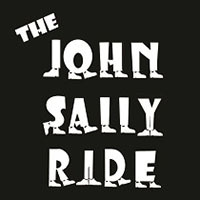 Calling themselves John Sally Ride, John Dunbar, Sal Nunziata and Sal Maida went into the studio in early 2016 to record their debut full length effort. Their hard work came to fruition earlier this year with the release of A New Set of Downs. Perhaps the football reference (assuming that’s what they had in mind) suggests a brand new start. While this is their first release under the name of John Sally Ride, the band members have impressive resumes on their own. Although I’d describe the LP as no frills power pop across the board, there’s plenty of variety in treatment. “I Didn’t Know I Was Saying Goodbye” has jangle to spare and has a little bit of an REM vibe to it, even though the sound isn’t quite as dense as a Mitch Easter production. A lyrical highlight, “She Walks Her Dog in Pajamas” also features a catchy chorus. One of my favorites is “I Can Really Disappoint You”, a track that I would describe as Buddy Holly with a bad attitude. However, John Sally Ride’s A New Set of Downs reaches its high water mark with “Not Taking Credit”. The crunchy guitar and pointed lyrics grabbed me from the first listen. Although it has it’s ups and downs (yes, the pun was intended), there is plenty to like on John Sally Ride’s A New Set of Downs. Get the physical CD through Kool Kat Musik.